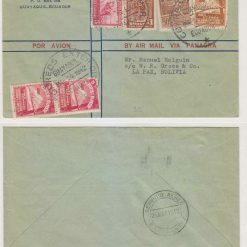 1949, June1. 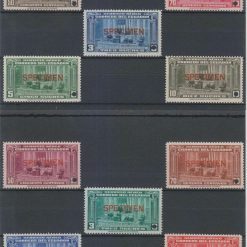 ROOSEVELT official issue. 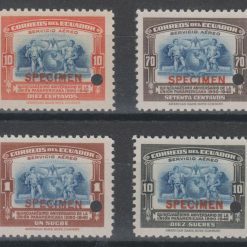 Scott unlisted. 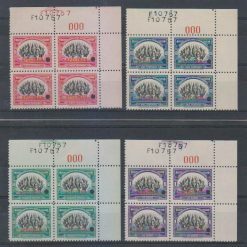 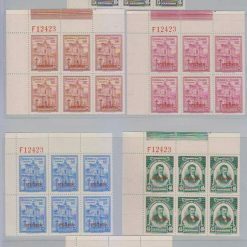 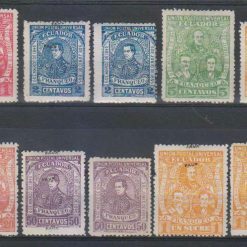 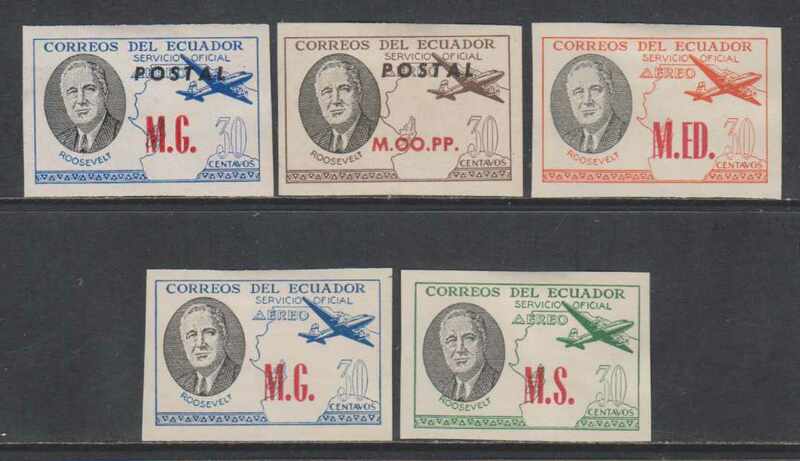 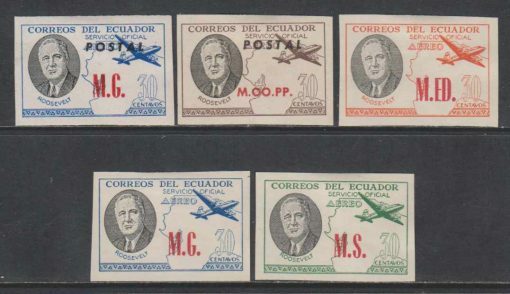 Sanabria 268 & 273 overprinted “POSTAL” (Surface) & 265, 268 & 271 (Airs). 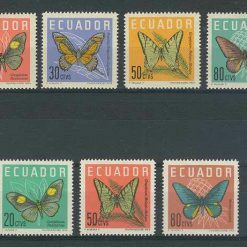 Hinged mint. 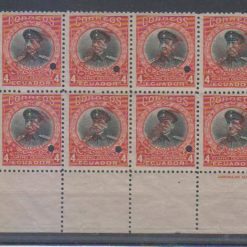 Chiefly VERY FINE.